For me Animal Magic rescue has been important through their work with the rehabilitation of injured and orphaned wild animals. They gave great help when a deer was injured on my land and I have been really impressed by the dedication and hard-work of Rosie Campbell. Geraldine wanted to raise funds for The Niall Mellon Trust, a long established charity supporting the building of housing and education centres in South Africa. So we decided to take on two mountains in a day and get sponsorship. 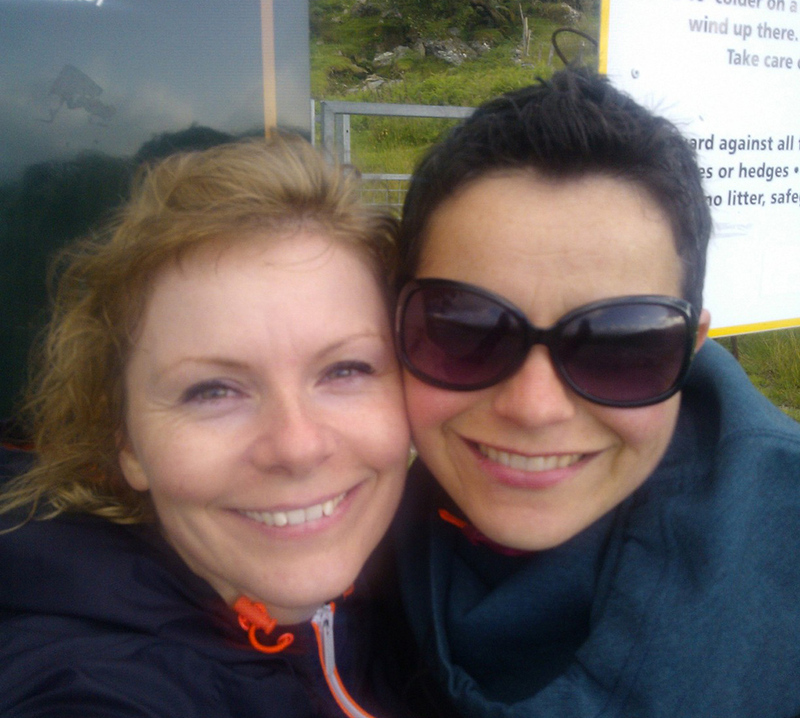 The day we chose to take on Brandon and Carrauntohill was 8th July, it happened to be my birthday! I set off for Kerry bright and early in wet weather only to realise half way there that I’d forgotten to bring my walking boots, knowing my flipflops just wouldn’t do the job, I turned back to get them. The second attempt to get to Kerry was much smoother and the delay had given the rain a chance to clear. The first mountain we climbed was Brandon, 952m on the Dingle Peninsula. The conditions were good for walking, although the top was in clouds, the views on the way up and the way down were stunning. It took 3 hours and 40 min to complete. Geraldine is an experienced mountaineer and her calmness and sense of humour was brilliant, she was a great person to spend my birthday with and to take on the challenge with. 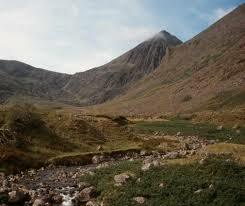 The second mountain in our challenge was Carrantuohill which is higher than Brandon. The drive there from Brandon took up about 2 hours because the traffic was bad, there were a lot of tourists driving slowly to enjoy the wonderful views. The weather was ideal for Carrantuohill, the clouds were gone and our climb was rewarded with incredible views from the top. We took the Devil’s Ladder to get up, it was hard going though as it is quite eroded and very steep, so we chose to take the Zigzags back down again, our legs were tired and it is less steep. Going up was definitely easier than coming back down! It was very hard on the quads. Carrantuohill is 1038m in height and took us 3 hours up and down. 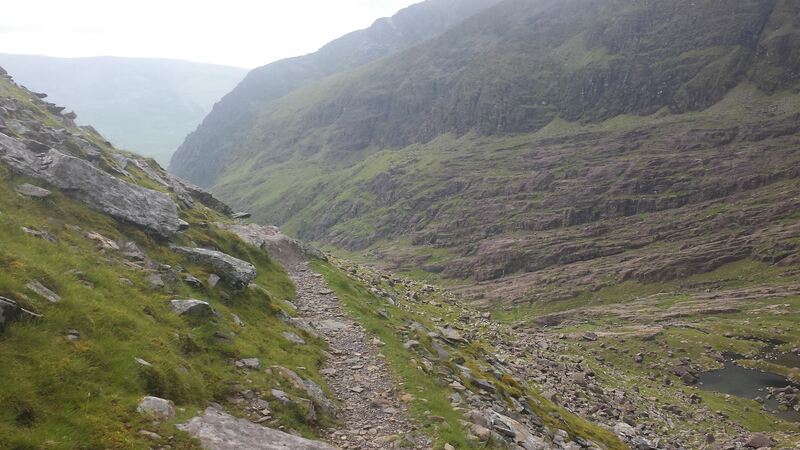 It was the anniversary of my mother’s passing that week and I found the whole experience incredibly spiritually uplifting, there is a rugged beauty to the Kerry mountains and a peaceful quality that is very moving. I couldn’t have spent the day better, I know my mother would have been so proud of me. By the time I got home it was 10:30pm and I discovered that I had missed the surprise birthday party that my little cousins had prepared for me. It was way past their bedtime and they were fierce disappointed to be going home without my seeing the cards and cake that they had made. I was so touched by their efforts though, was really sweet of them. So, I know you want to know what gave me the energy to keep going for the day. Firstly I paid attention to my hydration levels and drank plenty of coconut water, I also took Qi-Ribose, which is a new product from Viridian. Absolutely a fantastic product and amazing for stamina. It isn’t only me who is finding it good, I have had great reports from customers who have tried it too. I also used magnesium citrate to boost my energy and Ester C and snacked on Natasha’s Living Food protein energy bars. Protein is so important when you are taking on heavy exercise it helps your body recover. What did I do to get over the challenge? I went and did Carrantohill, Caher and Bencarr the following Tuesday with my friend Martin! All in all I raised €400 for Animal Magic and I would like to thank all the staff at Kostel, particularly Serena, Sarah and the staff at the Secret Garden and all the family, friends and customers who sponsored me. Mariead you are an inspiration to all those who meet you, of both the two legged & four legged varieties!!! Well done to both yourself and Geraldine!!! Best wishes to you on the opening of your new shop in Charleville.??? ?